The mineral corundum comes in several varieties, each with its own distinctive properties. Sapphires and rubies are gem-quality corundum. They are popular as gemstones not only for their beauty but because they are extremely hard and scratch resistant as well. The hardness of rubies and sapphires was critical for the development of early timepieces. In the 17th century, clocks and pocket watches were luxury items that only a few could afford. They were treasured more for their value as curiosities than their ability to keep time. 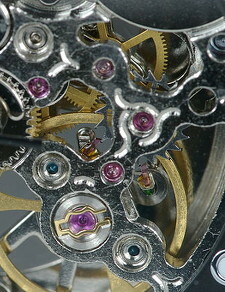 Early timepieces were highly inaccurate, due to large amounts of friction in their moving parts. Clockmakers eventually discovered that when bearings made of harder materials were used, less friction was produced. At the time, one of the hardest known materials was corundum. 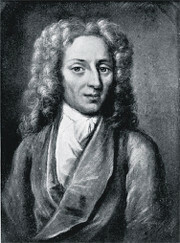 The 1704 invention of ruby and sapphire bearings, or jewel bearings, is credited to Peter and Jacob Debaufre and Nicolas Fatio de Duillier, who took out an English patent on the process. They discovered that corundum bearings not only increased precision in timepieces, but extended the life of clocks as well. Although the invention of jewel bearings was a great leap forward, they did not become widely used until the mid-19th century. And until the early 20th century, most jewel bearings were made from natural rubies and sapphires. 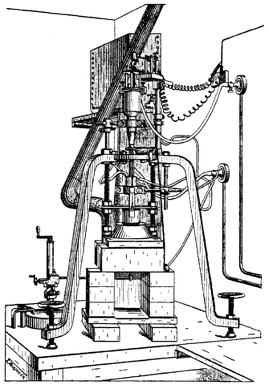 However, in 1902 Auguste Verneuil introduced the flame-fusion process for creating high-quality synthetic corundum, an invention that revolutionized the use of the mineral in industry. The watch industry quickly embraced this less costly, more plentiful source of corundum, which had better clarity than natural stones as well. 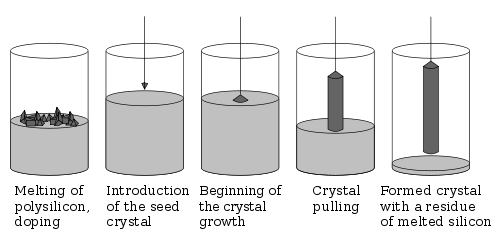 Today synthetic corundum can be grown by a number of other methods, including the Czochralski pulling process, the flux growth process, and the hydrothermal process. Synthetic sapphire crystals can be grown in boules up to several inches in diameter, shaped with diamond grinders, and polished to a variety of surface finishes. 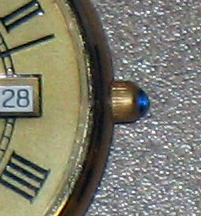 When the boules are sliced into wafers and polished, for example, they can be used as transparent, scratch-resistant watch faces. Corundum continues to be used in clocks and watches today, although most of the jewels are man-made. Timepieces typically require about 17 jewels to achieve high accuracy, but manufacturers may increase the jewel count to give consumers an impression of super-accuracy and greater luxury. During the 1960s watches were sold with 41, 53, 75, and even 100 jewels, although most of them were nonfunctional. The days have been computed by different people in different ways. The Babylonians reckoned from one sunrise to the next; the Athenians from one sunset to the next; the Umbrians from noon to noon; the multitude, universally, from light to darkness; the Roman priests and those who presided over the civil day, also the Egyptians and Hipparchus, from midnight to midnight.